The IndependentEva Carneiro, the former Chelsea first-team doctor, has broken her silence on the dispute with Jose Mourinho, severely criticising the Football Association for failing to interview her in the course of its investigation into whether she was the victim of alleged sexist abuse by the Chelsea manager. In a statement that is a damning indictment of the FA’s procedure on investigating such complaints, Carneiro reveals that the governing body did not even approach her to seek evidence before it exonerated Mourinho of any wrongdoing this week. 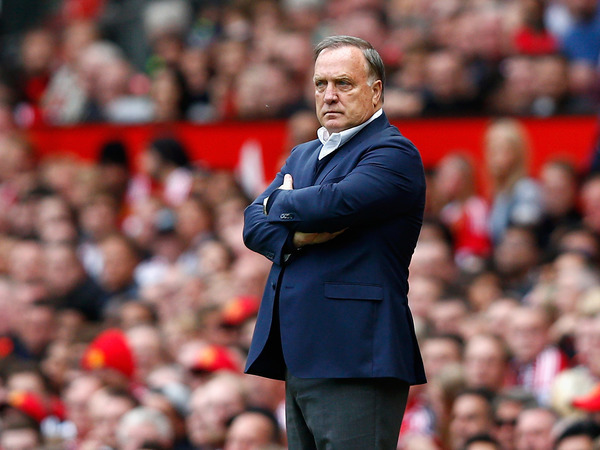 The IndependentDick Advocaat will quit as head coach of Sunderland even if they beat West Ham United on Saturday, according to reports. The 68-year-old has become disillusioned with life at the Stadium of Light after a winless start which has left his side bottom of the Premier League. 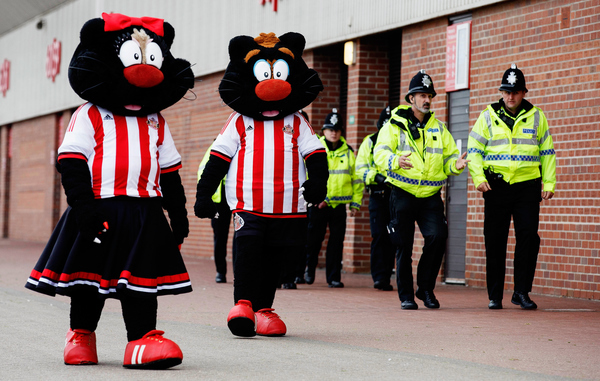 The club's sporting director Lee Congerton has purportedly handed his notice in already, having become tired of the club's internal politics and frustrated by the lack of financial support from chairman Ellis Short. 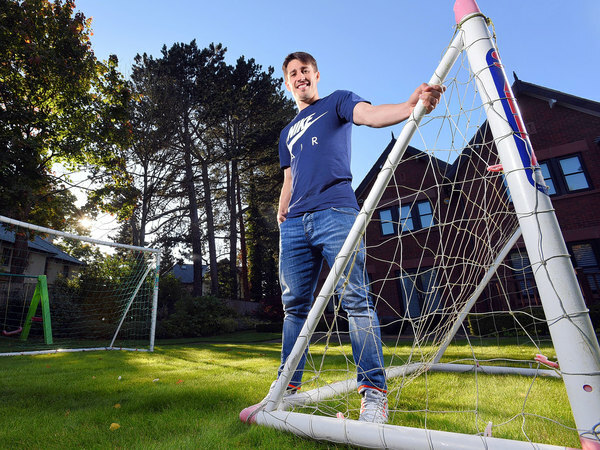 The IndependentBojan Krkic is sitting in his kitchen looking at a glass trophy. It is on display beside his sink and is a reminder not of his many feats as the teenage prodigy who won three Liga titles and two Champions Leagues with Barcelona, but instead of a more recent, rather less heralded event – his victory in Stoke City’s “Best Baker” competition. 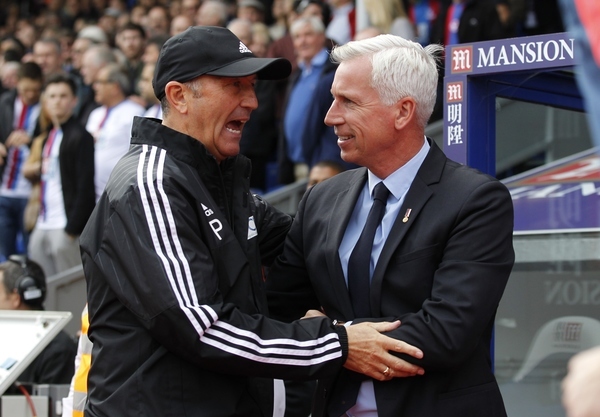 So first up we have Alan 'Pardiola' Pardew's Crystal Palace vs Tony Pulis' West Brom. It's a return to South London for football's most dedicated baseball cap wearer, who is trying to stop his former side winning and moving into second place in the table. 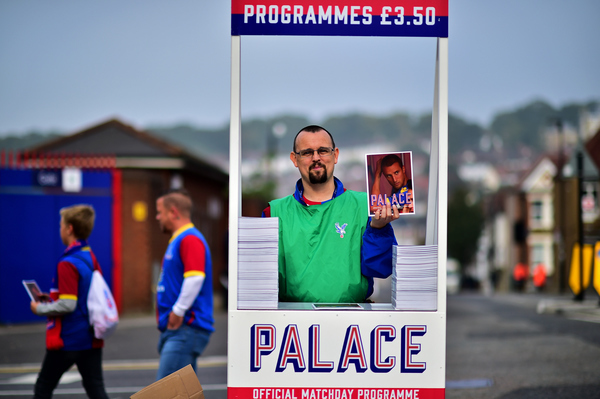 Crystal Palace: Hennessey; Kelly, Dann, Hangeland, Souare; McArthur, Cabaye; Zaha, Puncheon, Bolasie; Gayle. West Brom: Myhill; Dawson, Evans, McAuley; Brunt, Yacob, McLean, Morrison, Fletcher; Rondón, Berahino. 20 minutes until kick off, Pardew v Pulis. And with Zaha and Berahino facing off against each other in the battle of the talented youngsters with points to prove, there are lots of interesting subplots to this match. "No one deliberately does anything, do they, really?" Paul Merson unexpectedly drags debate from Lukaku's heading to a denial of free will. Jason Puncheon has created more chances (14) in the Premier League than any other Crystal Palace or West Brom player this season. "If we play well today I think we'll win"
Kick off imminent. If you're reading this then feel fortunate that you have been spared having to listen to Robbie Savage for the next 90 minutes. I will bravely take on that responsibility on your behalf. Crystal Palace 0 West Brom 0: It's been all Palace so far and both Bolasie and Zaha have had decent chances to shoot but have either hit a tame effort straight at the keeper or dragged their shot wide. Lively start. YELLOW CARD - James McClean clatters into Bolasie and picks up a yellow. "It's a throwback game" says Glenn Hoddle about four or five times, to the seeming total bemusement of his fellow commentators. Crystal Palace 0 West Brom 0: West Brom struggling to create a chance here so far, Palace meanwhile are looking fairly decent but just lacking that killer instinct in the Baggies' box. INJURY: Jonny Evans goes off in the 24th minute, James Chester comes on. It's a left hamstring injury apparently. YELLOW CARD: Pape Souare hacks down a West Brom player in the final third and is booked for it. Free kick in a dangerous position, but Brunt hits a pass to him on the edge of the area over the bar and gets injured in the process. Seems to have a nasty cut on his face. 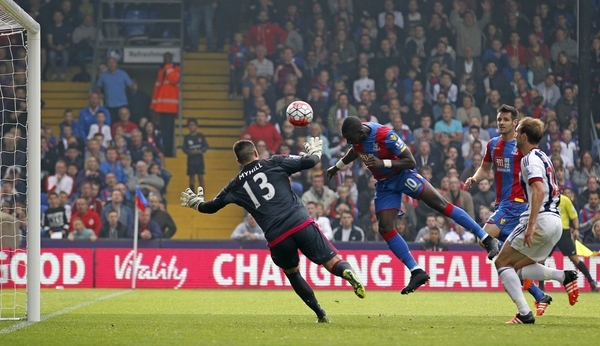 Crystal Palace 0 West Brom 0: Palace still pecking at West Brom, but so far with no joy. Cabaye hits a good volley straight at the keeper. The game has slightly lost it's initial zip. Crystal Palace 0 West Brom 0: Crystal Palace have a penalty shout turned down and Zaha comes close with another effort. West Brom have not been in this game at all. “He’s on fire, up to a point"
HALF TIME: Crystal Palace 0 West Brom 0 - all Zaha and Palace but it remains goalless. Crystal Palace 0 West Brom 0: Second half underway. Sub for West Brom, Berahino off and Craig Gardner on. Crystal Palace 0 West Brom 0: If you thought the first half was a bit flat then you'll be relieved to know the second is even flatter. Palace not looking as effective as they were in the first 45. Crystal Palace 0 West Brom 0: Aha, there Crystal Palace are! Suddenly the home side have come alive and they are laying siege to the West Brom area. Still lacking the final killer blow though. Crystal Palace 0 West Brom 0: Gardner lucky not to give away a penalty for handball frankly. At the other end West Brom get their first shot on target in the game. It's only taken them 64 minutes. GOAL! Yannick Bolasie - Crystal Palace 1 West Brom 0 - Great goal, Cabaye gets the ball on the left hand side of the area after a corner and dinks a great ball to the back post where Bolasie heads in. Deserved goal on the balance of play. 1005 - Yannick Bolasie has scored his first goal at Selhurst Park for 1005 days. Glad. How much more would you pay for a BT subscription that muted Owen and Savage. I would pay £7 a month extra. Crystal Palace 1 West Brom 0: West Brom seem to have decided to not really bother playing any football, and as such they're not threatening Palace at all. This game is flatter than the Belgian countryside. PENALTY! Zaha goes past Brunt and is brought down in the area. GOAL! Yohan Cabaye - Crystal Palace 2 West Brom 0 - The Frenchman slots the penalty into the right side of the net. Game over surely. FULL TIME: Crystal Palace 2 West Brom 0 - Baggies were dire to be honest and were never in this game. Man of the match performance by Zaha. Great win for Pardiola's men who go third in the table. 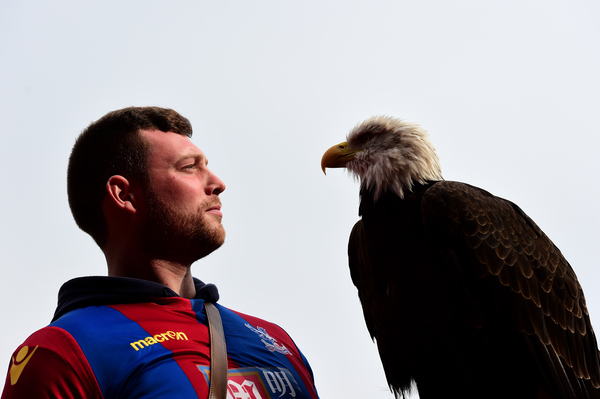 Crystal Palace have now won 15 Premier League games in 2015, only Arsenal (17) and Man City (16) have won more. Aston Villa XI: Guzan, Hutton, Richards, Lescott, Amavi, Crespo, Westwood, Gueye, Veretout, Gestede, Sinclair. Stoke XI: Butland, Johnson, Cameron, Wollscheid, Pieters, Adam, Whelan, Walters, Krkic, Arnautovic, Diouf. Someone forgot to turn off the sprinklers at Bournemouth, both teams ducking for cover after lining up ahead of kick-off.